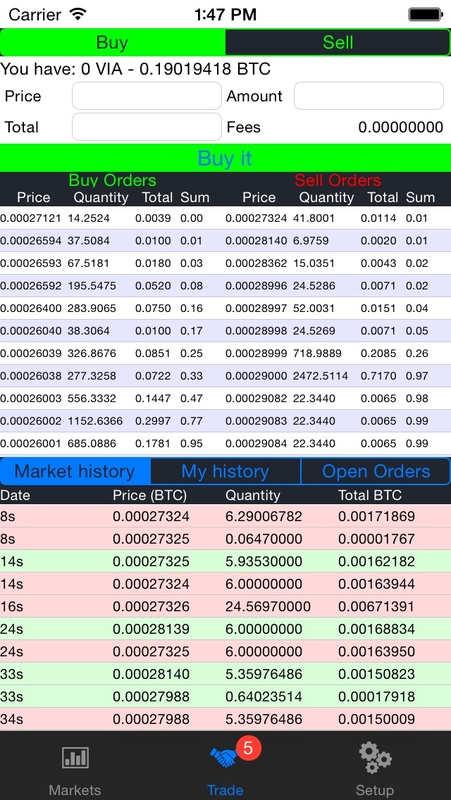 Dedicated application to trade on Bittrex exchange, now for Iphone ! Bored to enter your 2FA code every 5 minutes or to use the mobile interface ? This application is for you ! Use it every time your have 2 minutes to follow the market, follow your orders or make new order from anywhere. No more loose money because you are not in fron of your desktop. 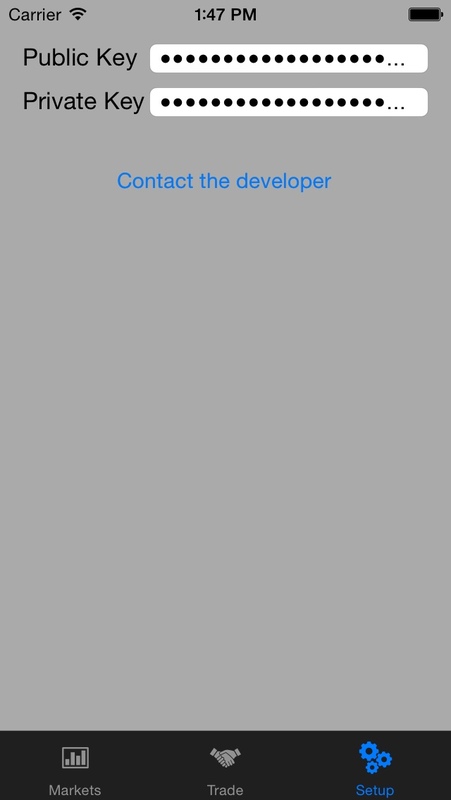 Just enter your API keys on the setup tab once and they are stored in a very secure way. After this, enjoy this useful application. 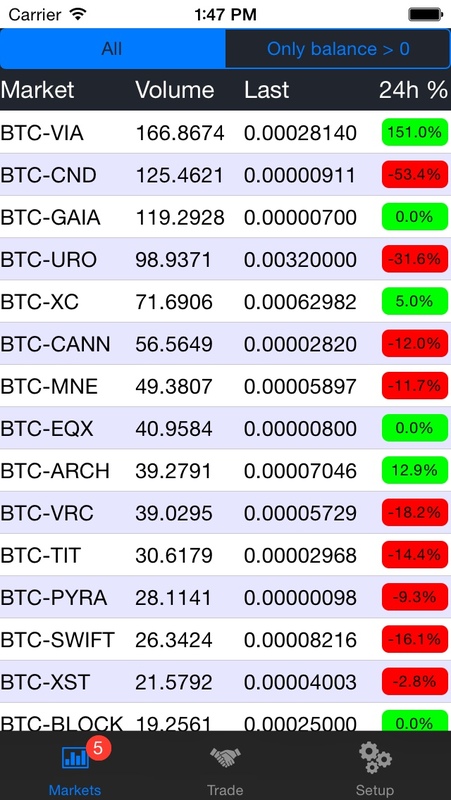 -Display market list sorted by volume with option to display only the market where you have a balance over 0. 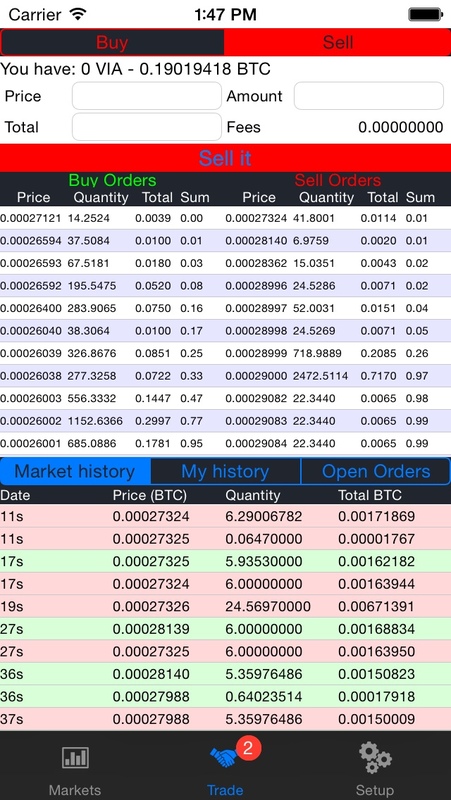 When you click on the order book, the values are auto filled and you just have to click buy/sell or adjust the amount/price/total. If you click on your open orders, you are asked if you want to cancel it. Don't use reviews on the Apple store to expect some help, it's not a bug tracker system. If you have a problem or have some bug, send me a email and i'll do all i can to find the bug you have.